Perfect for those tree-house crows nests! 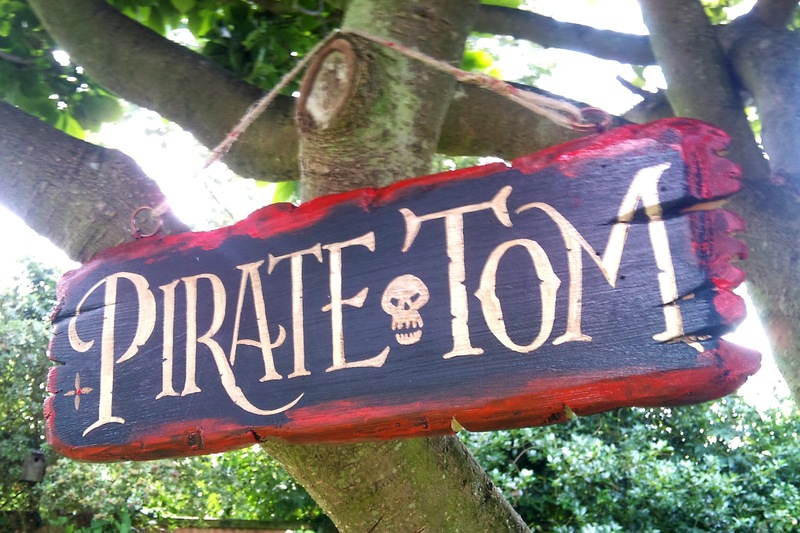 Still on the subject of swashbuckling pirates, here’s a hand-painted flotsam-style sign I made this morning for a client’s son. Painted in gold enamel and acrylic paints on old pine, scrollsaw-cut for that ‘just-washed-onshore-after-that-shipwreck-look’. Commissions available upon request.